Welcome, Kevin Anderson & Associates Authors! DartFrog is the only distributor of self-published books to independent bookstores. 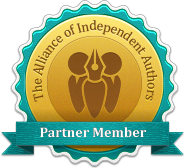 We also offer a premier hybrid publishing platform for authors with a fully polished manuscript. All books selected by DartFrog, whether self-published or traditionally published through our hybrid platform, are guaranteed face-front placement in bookstores. If your self-published book is selected for distribution by DartFrog, it will be placed face-front in a specially branded "DartFrog Approved" section of 20 bookstores. Our team of evaluators thoroughly examine each submission. Self-published books that pass our evaluation criteria are accepted for distribution and placed in bookstores. Authors wanting to be traditionally published can submit their fully polished manuscript to DartFrog Plus, our hybrid platform. Kevin Anderson & Associates authors (whether through our self-published channel or DartFrog Plus) are offered unlimited re-submissions, at no extra cost, until the book is selected. DartFrog offers a premier hybrid publishing platform called DartFrog Plus. This platform is for authors whose books are in the manuscript stage and are seeking for them to be published (in the traditional sense) rather than self-published. Kevin Anderson & Associates authors selected to the DartFrog Plus program save over $500. DartFrog Plus titles are automatically placed in ALL stores that carry DartFrog books.